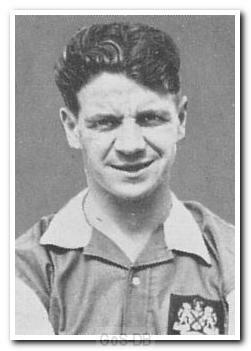 Govan arrived at Home Park as a fresh faced young Scot in the summer of 1946, and it took him over five years to really make his mark. The switch from inside-left to the left-wing transformed Govan's career, and he became famous for his speed and ability to whip in dangerous crosses with his left-foot. 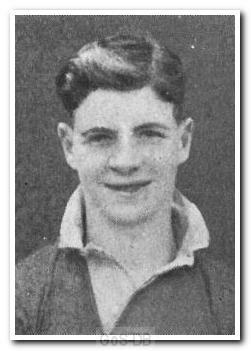 He left Argyle for Birmingham City in 1953 and made over 150 appearances for the Blues before joining Portsmouth in 1958. Govan's time at Pompey was brief and he returned to finish his career with the Greens. Just one of many stories from my interviews with Alex Govan. He was in the Golden Hind one evening. It was a proper 'football pub' and the conversation often turned to our favourite game. One evening a stranger came in and enthusiastically joined in the football chat. He told the gathered throng "Look, I have a £5 note here, signed on the back by the great Leeds player John Charles, right after he had scored both his teams goals in a 6-2 defeat against Birmingham." Alex looked up and said: "Better bring it over here son and I will sign the other side for you. I scored three for Birmingham that day!!!" The game took place on 20 April 1957 at St Andrews. It was Govan's fifth hat-trick of the season - not at all bad for a winger!